UFC is returning to business this Saturday (Jan. 19, 2019) with its UFC on ESPN+1 fight card from inside Barclays Center in Brooklyn, New York. 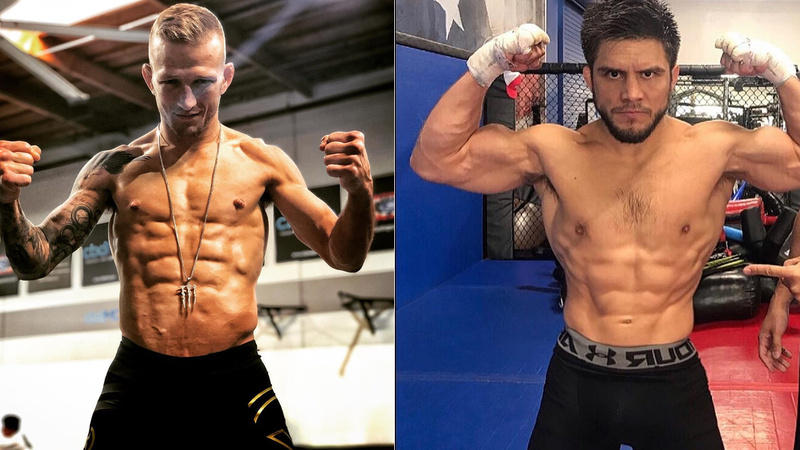 The main headliner features a flyweight title super fight between reigning champion Henry Cejudo and current bantamweight champion TJ Dillashaw. Dillashaw will have to make weight for the flyweight limit this Friday which gives him a chance to become the fourth UFC fighter to hold two titles simultaneously. The card’s co-main event features a women’s Flyweight bout between Paige VanZant and Rachael Ostovich. VanZant last fought in January 2018, where she suffered a decision loss to Jessica-Rose Clark which was her second loss in a row. In the same fight, ’12 Gauge’ broke her arm that required surgery. However, she underwent second surgery back in July after the first procedure gone wrong, but now “PVZ” is healthy and ready to return to action. Meanwhile, Ostovich was lately in the headlines after being assaulted by her husband and suffered injuries, which almost canceled her fight against VanZant. Later Ostovich decided she was still mentally and physically active to compete this Saturday. Rachael, a Hawaiian native, is currently 4-4 in MMA, rose to fame on (TUF) 26 finale where she lost the bout to Montana De La Rosa via decision. Which fight at UFC Brooklyn intrigues you the most? Share your thought below in the comments section.